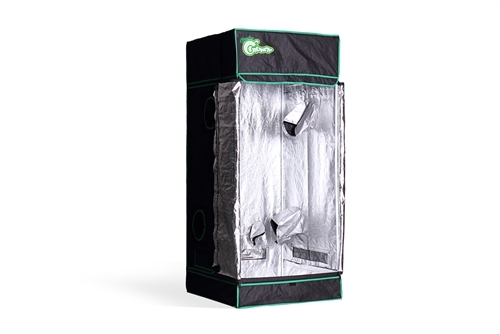 Hydro Crunch Grow Tent 2.5 ft. x 2.5 ft. x 6 ft.
Hydro Crunch Heavy Duty Grow Room Tent 2.5 ft. x 2.5 ft. x 6 ft.
Hydro Crunch Mylar Hydroponic Grow Tents are made specifically for indoor plant growth. 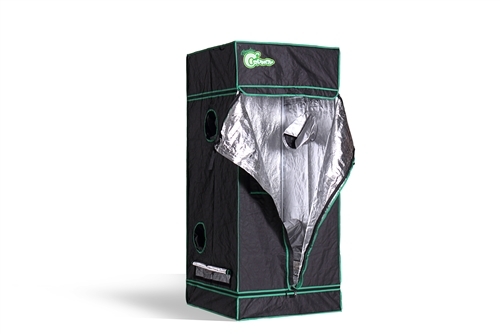 Made with all metal construction, our grow tent uses 300D Oxford cloth lined with 100% reflective Mylar fabric. Multiple vents are strategically placed to accommodate fan and filters. Ventilation windows, air and cable vents are designed and located to minimize light loss. 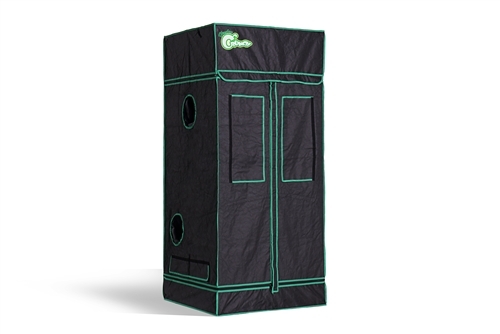 Hydro Crunch grow tents are durable, fully washable and great for you to grow exotic fruits, herbs, vegetables anywhere anytime. Hydro Crunch 31 in. x 31 in. x 71 in. 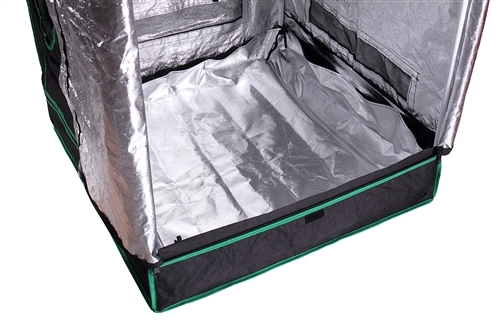 Mylar Grow Tent: Constructed with strong and durable materials. Quick and easy to assemble heavy duty polypropylene/metal corners. Fully washable interior and exterior heavy duty poles to accommodate hanging of heavy equipment. 2 seal-able viewing windows on main door. Rectangle vents use high density window screen (20 in. x 2.7 in.) to keep insects out. Highly reflective Mylar lining and water resistant. Floor tray included. Color: Black and Green. Style: Home box installation instruction. Use: Seeds and Plants. Dimensions 31 in. x 31 in. x 71 in. Q: What size are the ventilation holes? A: There are a variety of ventilation holes/openings ranging from 4" and 8" in diameter, and 20" x 3". 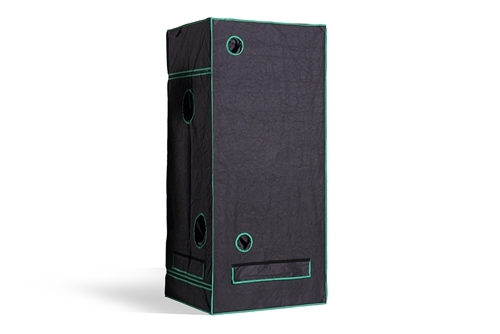 Please click on the link in "Documents" tab to see the full diagram and dimensions of this tent. 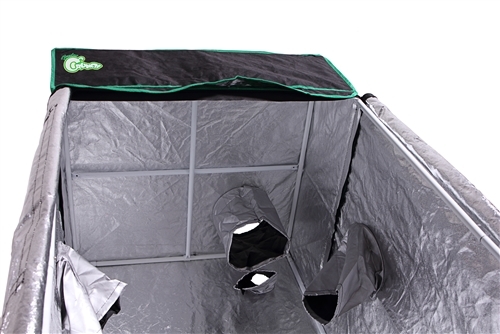 Hydro Crunch Heavy Duty Grow Room Tent 1.5 ft. x 1.5 ft. x 4 ft. Hydro Crunch Heavy Duty Grow Room Tent 8 ft. x 8 ft. x 6.5 ft. 300-Watt Equivalent Grow/Bloom Full Spectrum LED Plant Grow Light Fixture with Grow Tent and Ventilation System Hydro Crunch Heavy Duty Grow Room Tent 4 ft. x 4 ft. x 6.5 ft.